This statement was a start of a blog post that I meant to finish…I stumbled across it today, it fits in perfectly with my experience at our Gypsy Circle. 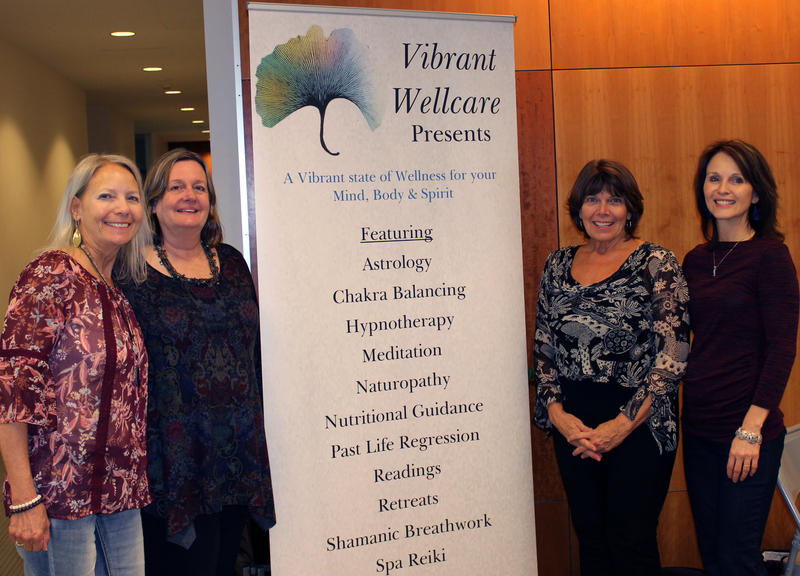 Gypsy Circle of Wellness Providers – Yoga, Meditation, Nutrition, Energy Balancing and more! Our Gypsy Circle this week was a true testament to our evolution. We are completely different personalities gathered together with 1 single intention. To use our gift of this life, to share our work with the world, for the greater good of all. One of our tasks is to put together a “gift” for any new Gypsies that want to be a part of this collective of cooperative compassion. We are sharing our experience with details of starting, maintaining and promoting a business with love and support. Easy and Fun! As we went around the circle holding onto our talking stick, we honored each Gyspy that was sharing, by listening. One gyspy, Melissa Olson, shared her gift of Naturopathic support because she “just wants to make people feel good”, the next Gypsy, Patricia Lowinske, is ready to release her gifts by offering Astrological Readings to include birth charts so others can “explore all their options”, our Shamanic Breathwork facilitator, Deb Irestone, commented how she creates “transformative space for others to come into their wholeness”, our NTP, Monica Delius, shares her passion through her program to “Restart to restore” through physical wellness. As I looked around the Circle, I knew that I had been here before, with these beings, at a different time in our evolution. Change is wanted, needed and encouraged everywhere. As we progress forward at a rapid speed, the ones coming together in the new spiraling energy are feeling the excitement and expressing joy by sharing our gifts to benefit all. As a Yoga and Meditation teacher and a Transformative Retreat Hostess, I use themes to encourage, support and empower each individual to “know their own light”. As we come into the knowing of our own light, we reflect light back to all others. When I left our meeting, I felt whole, complete and perfect. Full of light that was reflected back to me. We are looking for ways to use what comes easy to us to support each other. No competition, no ego, just pure bliss in the knowing that when we support and honor each other we support and honor our entire planet. Our uniqueness is what binds us together as a whole. Instead of judging, dismissing or disempowering each other to raise our individual value, we are accepting, honoring and supporting each other to raise our collective value. As I go out into this beautiful day, I am reminded of the miracle of life. Joy and ease can encompass our existence in every moment. Know that every act of love and support that you give another is small pebble that ripples out into our communities and into our world. We are all Whole, Complete and Perfect in our Uniqueness. It’s our differences that connect us. For the greater good…See your light, let your light reflect my light and his light and her light until we are One big bright light! In Yoga class today at Shamans Hearth, our lights were sending out so much positive energy that it shifted the vibrations in the room so we thought…heck…why not live large and send our happy little chi balls out to shift the vibrations of the World. Now there’s a great way to explain Namaste’.